**This post may contain affiliate links. Therefore, if you purchase something through the link we may receive a small commission at no extra charge to you. This helps us keep our freebies, content, and resources FREE ALWAYS! We really appreciate your support! Nearly a quarter century ago, the Autism Society launched a nationwide effort to promote autism awareness, inclusion and self-determination for all, and assure that each person with ASD is provided the opportunity to achieve the highest possible quality of life. This year we want to go beyond simply promoting autism awareness to encouraging friends and collaborators to become partners in movement toward acceptance and appreciation. Let’s embrace a new perspective. For 50 years we have worked in communities (both large and small) to ensure our actions, through our services and programming, supported all individuals living with autism. Let’s expand this work to focus on the rest of us – ensuring acceptance and inclusion in schools and communities that results in true appreciation of the unique aspects of all people. We want to get one step closer to a society where those with ASDs are truly valued for their unique talents and gifts. 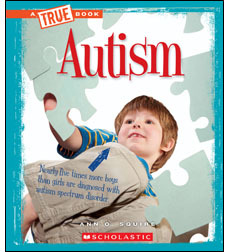 Another great resource is Understanding Autism – a 3-Part Lesson for Grades 5-9 from Nick Jr.
First, Educating Children about Autism in an Inclusive Classroom – FREE Printable 76 page packet with information, lesson plans, and more! In addition to teaching your children and students about the cause, please consider supporting one of these merchants. Each is donating a portion of sales to aid in research. Even better, you get great products! Please share this post so others can contribute too. Thank you!! Merchants of items seen here donate a portion of sales to fund research and therapy for kids with Autism. I hope you find these resources helpful. Please leave a comment with any more you love! If you’ve enjoyed this post, be sure to also see this one!